No other time is more fun and more beautiful in Mississippi than in the fall. Even though we are a little late with the fall colors popping out – the pumpkins are sure beautiful. Thank you to many of our affiliates that are busy with fall cleanups in their communities. 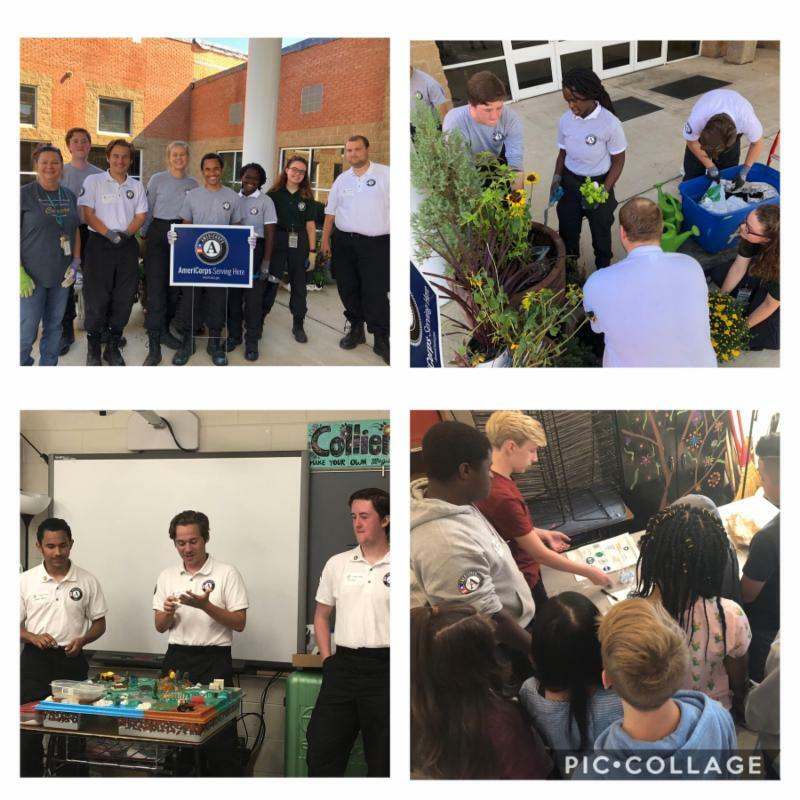 Despite the heat and rain, Keep Mississippi Beautiful had an amazing month of September with 10 of the best young adults that have dedicated their time to be in an AmeriCorps team. I want to thank Aaron Rogers/ MS Ag Museum, Jeannine May/ Keep the Rez Beautiful, Nicole Kitchens/ Keep Flora Beautiful, Chandra Hines/Keep Belzoni Beautiful and Jan Richardson/Keep Ridgeland Beautiful for giving of their time to lead this team to definitely make a difference in their communities. Volunteerism was learned from each other and it was most rewarding seeing the example that these young people set for all. Better go, Neeley and I are off to put the new “Can It” campaign banners up at the Mississippi State Fair. We are excited to have our message up for all fair goers to see and to be one of the 2018 Mississippi State Fair sponsors. 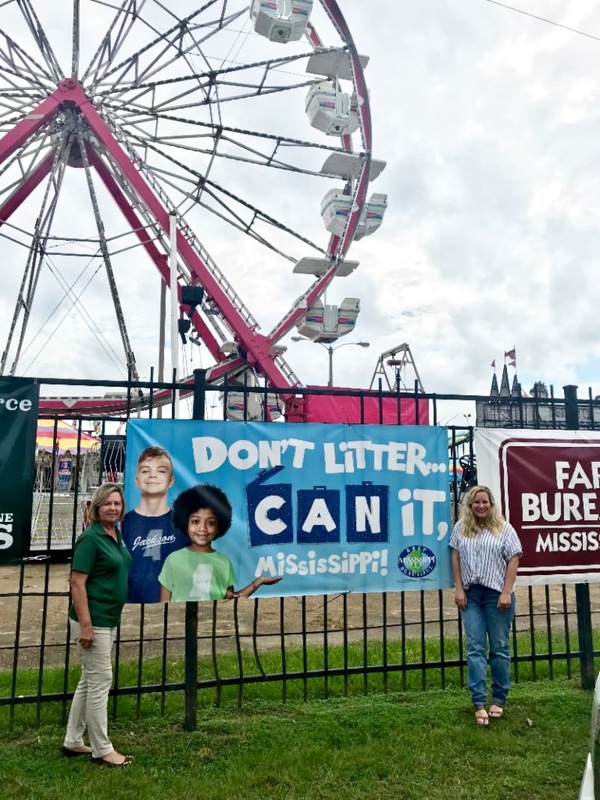 KMB Executive Director Sarah Kountouris and Assistant Director Neeley Jones with "Can It" campaign banners at the 2018 Mississippi State Fair. 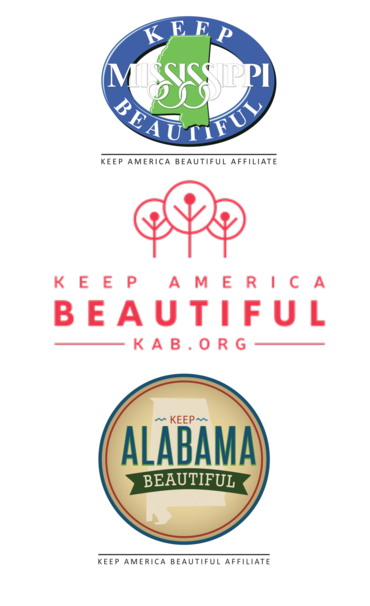 This year's annual Keep MS/AL Beautiful conference will be hosted by Keep Alabama Beautiful at the Perdido Beach Resort beginning at 10:30 A.M. on Thursday, Oct. 25 and will dismiss before NOON on Friday, Oct. 26. Thank you to KMB Board Member, Joni McClain, for donating Sonic gift cards to provide meals for these volunteers! Keep America Beautiful will host its 2019 National Conference at the Baltimore Marriott Waterfront Hotel, from Feb. 6-8, 2019. For Keep MS Beautiful Affiliates, now is a great time to seek sponsorship for conference registration- early bird registration is $575. KAB's National Conference is the premier annual educational, training and networking forum presented for the benefit of our National Affiliate Network, partners and sponsor organizations. Charm City was chosen because of Keep Maryland Beautiful's and Baltimore City's rapid embrace of Keep America Beautiful's movement, in addition to its rich American history. ﻿This year's theme: Placemaking. Placemaking inspires people to collectively reimagine and reinvent public spaces as the heart of every community. Stay tuned for the conference agenda and more details! Click here to book your hotel reservation. National Award nominations are due October 15- more info can be found here. Keep Mississippi Beautiful Board of Directors visited Keep Cleveland Beautiful for this year's board retreat. These are the great men and women that support our projects and all of our affiliates throughout the state. Thank you to Cleveland Chamber Executive Director Judson Thigpen for hosting us in your thriving community. Keep America Beautiful Recycle Bowl Competition is a fun 30 day recycling competition between schools across the nation. Registration is now open! 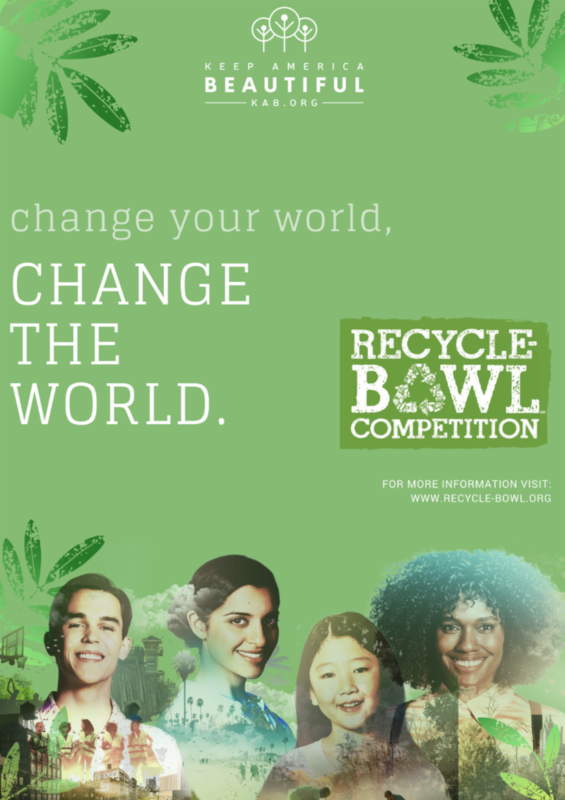 Please go to https://www.kab.org/our-programs/recycle-bowl to find out more! Columbia, Mississippi to be a "Wildflower City"
Dr. Brett Rushing, explained to city officials, including Mayor Justin McKenzie, Judy Ward, and members of the Pine Needle Garden Club, the process of preparing land off R.A. Johnson Drive for a wildflower site as part of the Wildflower Trails of Mississippi. Pine Needle Garden Club . 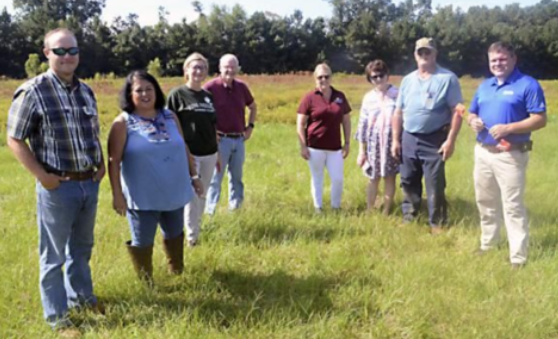 Dr. Brett Rushing, MSU Extension Service looked over one to two acres near the city lagoon to be planted next spring with eight to ten species of native wildflowers and grasses. "The site evaluation is about identifying the vegetation that is already here and making an herbicide prescription to control what is existing in order to prepare the ground for planting," Rushing said. "There won't be any soil disturbance, no disking or tilling. We will control what's there and come in with a no-till planter and plant the site without disturbing the soil." The Columbia Board of Alderman approved participating in the project in mid-August on a request by the Pine Needle Garden Club. The goals of the Wildflower Trails of Mississippi are to increase awareness and education on the importance of pollinators and native plants, the roles in the environment to enhance aesthetics and the beauty of wildflowers and to generate tourism and economic development. Neeley Jones of KMB made a presentation to the Pine Needle Garden Club, which was open to the public, showing pictures of other Wildflower Trails of Mississippi sites. "The herbicide will be applied soon and then in winter or spring, Columbia will do a controlled burn to make sure they have gotten all of the weeds" Judy Ward of the Pine Needle Garden Club said. "Hopefully we can plant in April," Ward said. Keep America Beautiful's Community Restoration and Resiliency Fund benefits Keep America Beautiful Affiliates that serve communities directly affected by natural and environmental disasters. The fund provides immediate and long-term support for initial and ongoing cleanup efforts and helps rebuild vital public spaces: parks, greenways, community gateways, Main Street/downtown areas, open spaces and more. Nkruma Frazier is the Sustainabilty officer for the City of Hattiesburg and has served as Keep Hattiesburg Beautiful's Affiliate Director since 2016. "My first few years in this role have been busy, yet very rewarding and fulfilling. Having a very supportive board has been the heart of the success that we've had over the years, and we are in the process of developing a more robust year-round program to help support the city's and citizens' desire for a cleaner, more livable Hattiesburg," says Frazier. Keep Hattiesburg Beautiful has ongoing programs designed to support and assist community cleanups throughout the city. 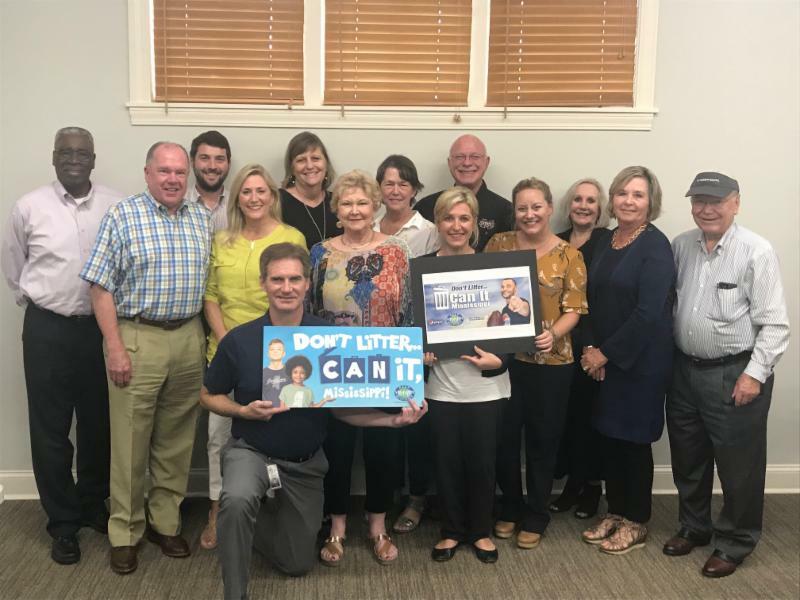 They sponsor an Adopt-A-Street program through which encourages community groups and neighborhood associations to adopt one mile in their neighborhood that they can commit to keep clean. Keep Hattiesburg Beautiful has a few projects on the books for the rest of 2018 including partnering with the City of Hattiesburg and all local schools to host a city-wide K-12 recycling competition called Hattiesburg Recycle Bowl. The recycling competition is scheduled so that the schools can also take part in Keep America Beautiful’s national Recycle Bowl competition. The competition will start on October 15 th and will end on America Recycles Day; which is November 15th. KHB will also partner with the city on November 15th hosting a recycling and hazardous waste collection event. In December, they will host the 4 th Annual Stuff-A-Truck with Recycling event on the first business day after the Christmas holidays. The ultimate goal of KHB is to help beautify the city and encourage our friends and neighbors to do the same. We believe that fostering a greater sense of community and involving everyone is the key to keeping our city clean, therefore having a more beautiful Hattiesburg. 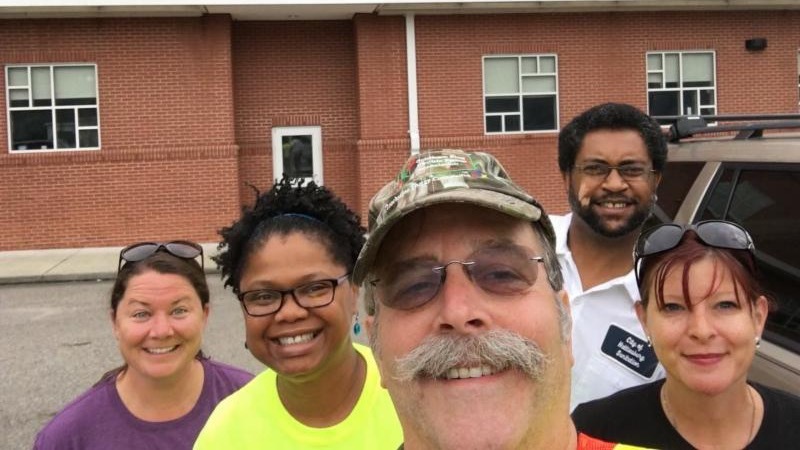 Pictured above are Board members Leslee Potvin, Jacquline McClain, Mark Klinedinst, Nkrumah Frazier and Melissa Covington after completing a clean-up along Hardy Street. 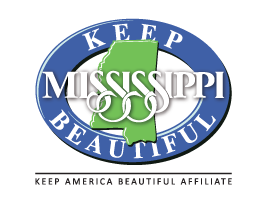 Keep Mississippi Beautiful is now enrolled in the Kroger Community Rewards Program! 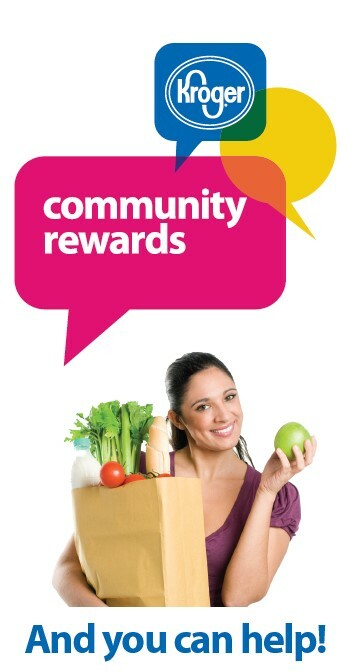 If you have a Kroger Plus Card, please help us earn rewards by registering online. If you do not, Plus cards are available at the customer service desk at any Kroger. Our NPO number is GJ773, select Keep Mississippi Beautiful from list and click on confirm. REMEMBER, purchases will not count for KMB until after you register your card(s). Please share this information with your board members, volunteers, friends and family!